Suhas Vyas, son and disciple of Late Padmabhushan Pt. C.R. 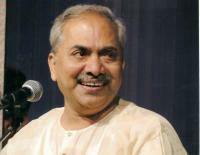 Vyas is an established vocalist on the contemporary scene of Indian classical music. As a keen student of music and as a result of his family lineage, Suhas for fortunate to be in the august company of great artists such as Pt. Kumar Gandharva, Pt. Jitendra Abhisheki and most of all, his celebrated father Pt. C.R. 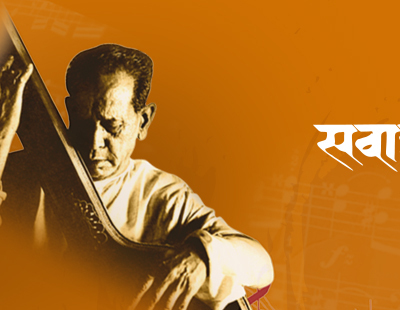 Vyas from whom he got brilliant insights in the complex lobyprints of ragas. A challenge that Suhas faced early on in his career was to establish his own identity which was distinct from the towering image of his father. Interestingly both listeners and critics have admitted that Suhas has succeeded in this daunting task and has created his own niche style of performance which is deeply routed in tradition while at the same time has the unmistaken stamp of all these great influences.